Save the kingdom of Orion in Echoes of the Past: The Revenge of the Witch! Once again black powers have seized the land and this time the witch is more determined than ever to take her revenge on you. The entire city is gripped by fear and it's up to you to save them, and yourself. Exorcize the evil and defeat the witch once and for all! 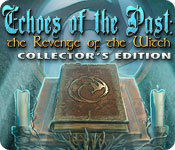 Echoes of the Past: The Revenge of the Witch Collector's Edition is rated 4.4 out of 5 by 109. Rated 5 out of 5 by pcpat923 from ECHOES OF THE PAST: TIMELESS GAME ENJOYMENT! The 4th in the Echoes of the Past series with Orneon consistently providing excellence, improved quality and ever more creative puzzles. Not to mention the story is interesting! Yes, a fluid plot that brings the game playing into focus. Players are comfortable with searching for an item and how did it get there. Object, clothing style, back drop are all time appropriate to the story. Developers cut no corners whatsoever! Can't express enough that these developers bring us some of the very best and the games are absolutely timeless. It's now 2017 and I am purchasing the Collector's Edition after already owning the Standard. Going back to the future here on BFG as there's so many very excellent games. This is just one of the many superior older games as the vast majority of newer releases are the same old same old boring, cookie cutter games. Enjoy! 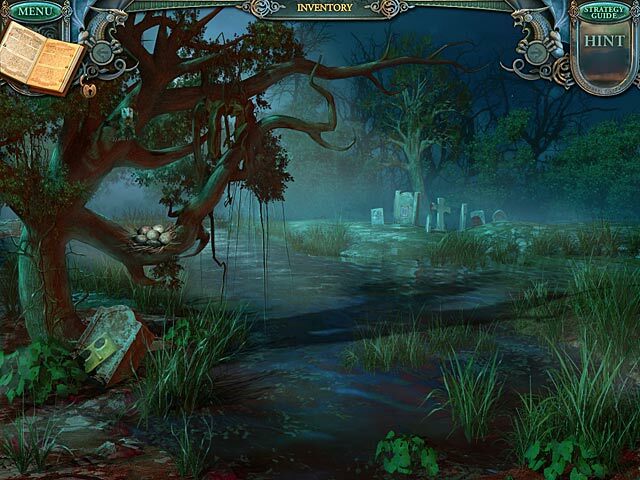 Rated 5 out of 5 by knarf229 from BEST HIDDEN OBJECT SERIES EVER ! The "ECHOS OF THE PAST .. " ... " hidden object " series is a hidden object players dream world No "baby" level offered and you really DO need to think and search on the regular mode/level I love them and I believe all HO players will / do .. too. Rated 5 out of 5 by gfehse from BETTER THAN YOU THINK I read some rather negative reviews, but most times that only prompts me to play to see why folks find a game "so confusing" or "so difficult to navigate". This game is fun and has detours that make you go "uhhh?" but in a good way. The game has a lot of puzzles, which i prefer, that are fun but not head scratching so as to make the game annoying. There is no teleporting, but the game's venue is structured around reasonable demographics, so you gotta back tract around a few corners, not enough to loose your place, if you pay attention. I liked the game and will probably play it again, as there is so much to do. Rated 5 out of 5 by anet54 from Best of this series I've loved all the Echoes of the Past games,but this one really is the best of them. I'm not the best puzzler, so found the puzzles just challenging enough to make things interesting. I felt like I got to play for a very long time (I don't usually sit and play a game through in a few hours), and the Bonus games was well worth the extra money. There are also some interesting bonus features. I loved the atmosphere, and the familiarity of the music used in all their games. 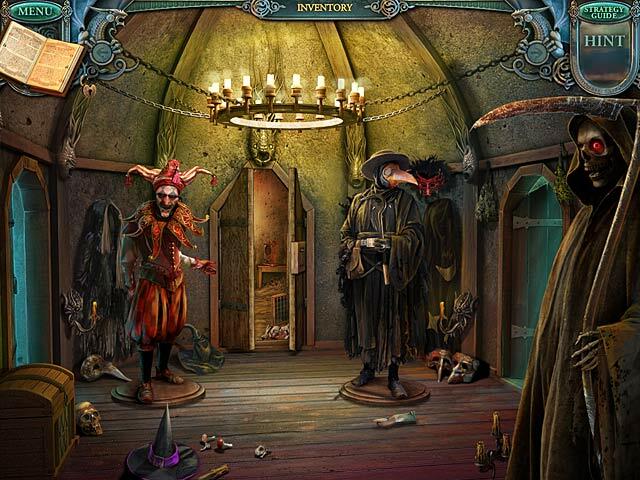 All in all, a great Adventure/Hidden Object game. Rated 5 out of 5 by stretchmymind from She who will not die! The witch is back - again. This is the fourth in the series and the storyline is a bit different this time. It's just you and the witch. The music is the same which is fine because it is unobtrusive and "comforting" to have the known. The graphics are just as great. The creators have taken great care and have given depth, dimension, texture and fine detail to the scenes. Some of the HO scenes are a bit faded but still eminently doable. I bought the CE edition for the extra game playiing and was not disappointed. There are lots of different kinds of puzzles throughout the game and the extras. I did get tired of the "lights" but pushed through. The extras had another series of games with repeat similarities. The mini games ranged from easy to fairly challenging. The story was OK but probably the weakest of the series. There is a bit of toing and froing, which sometimes leaves you trying to remember where you saw that puzzle or item. All in all very enjoyable. Rated 5 out of 5 by rpggramma from LOVED IT!!! I AM A PUZZLE FAN AND THIS HAS LOTS OF THEM! SOME WERE QUITE CHALLENGING,AS WELL! This is my idea of an excellent game; great puzzles with very little, clear HOs. Even the HOs were interesting, better than usual. I play the games for the fun and challenging factor. And this is my kind of game! 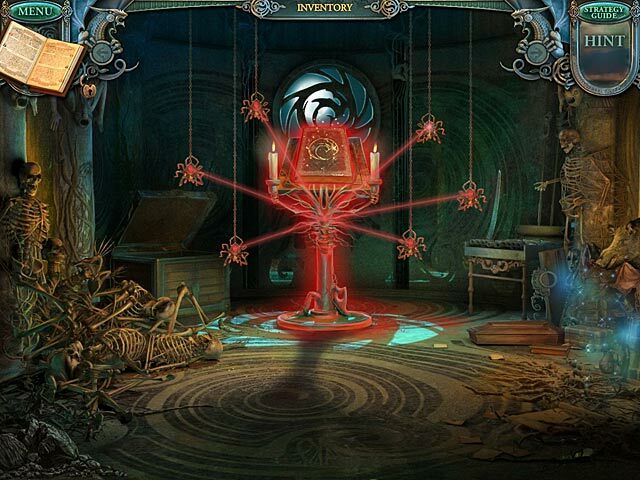 Rated 5 out of 5 by jusa3 from best hidden object game 2012 Best hidden object game I have played in a long time. Good length, puzzles got progressively harder, good back and forth between scenes. A-one. Rated 5 out of 5 by Vielspielerin from Another CE that's worth it I like it, when I buy a collector's edition and it really is a bonus, a small game in itself, a nice addition. This was all three. After collecting all the 10 gems to break the witch's curse this time, with a lot of mini-games included, you are trying to gain control over the magic book. As usual, some games were slightly repetitive. But I can't complain about being too easy, played on the easy level and still had to skip some of them ;) The included Strategy Guide was helpful. Used it sometimes, when I was too lazy to try out all my options. I like games in which I move around a lot - this was one of them. And I liked the HOS - not too obscure. Some parts interactive. Will buy another Echoes of the Past game, when they bring it out. Rated 5 out of 5 by rebkcmo1 from Like it...Bit hard! Been working on it for 3 days now! Really enjoy that in a game! Havent had that since Return to Ravenhurst! My all time fav! Once again black powers have seized the kingdom of Orion. The entire city is gripped by fear and it's up to you to save them, and yourself!